I had a bag of chopped dates in the cupboard but when I got them out to use they seemed quite dry and hard. 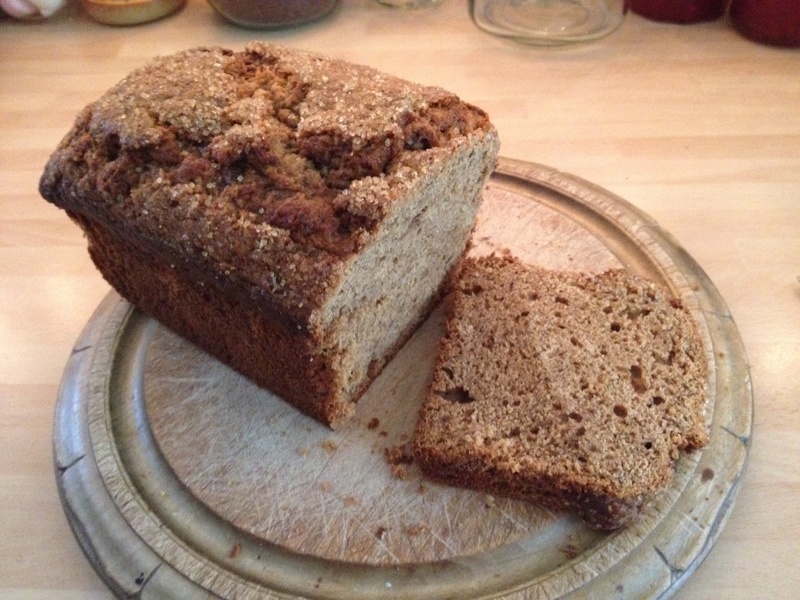 Rather than waste them I decided to soak them in some hot tea and try them in a loaf cake like any other dried fruit. The result was good and went really well with a nice cup of tea. It must be good as there were enough dates to repeat the recipe so I did and took photos the second time! 1. Preheat oven 160°C. Grease and line a loaf tin. Drain the soaked dates in a sieve over a bowl. 2. Cream the butter and sugar until light and fluffy. 3. 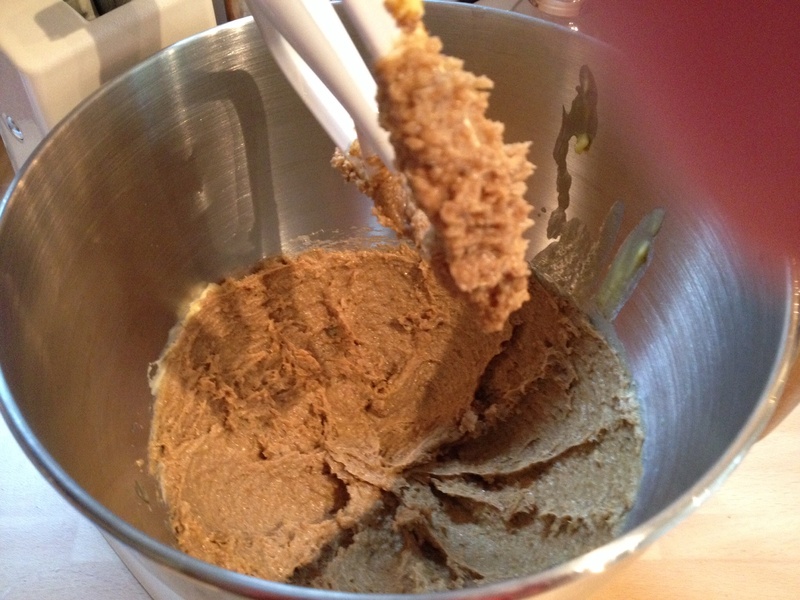 Add the eggs and beat (and a little of the flour if curdling). 4. 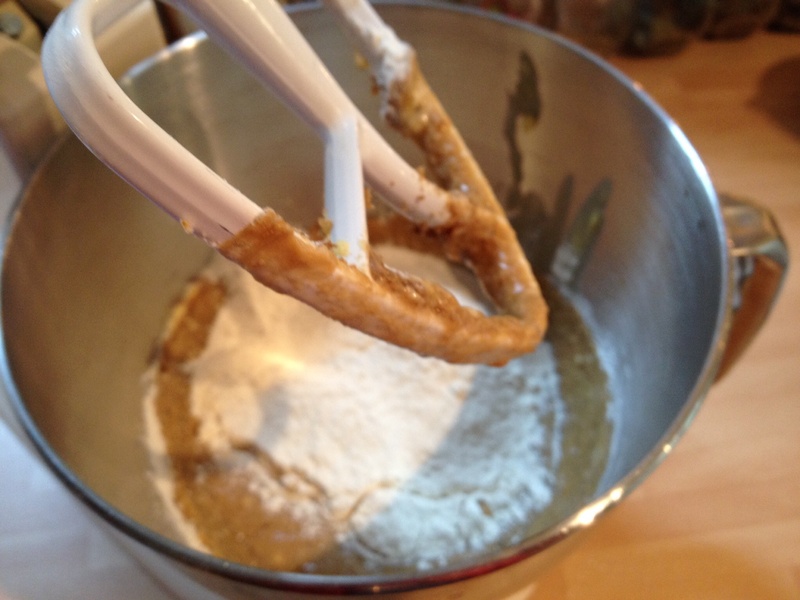 Gently fold in the flour then add the drained date mixtures until just combined. 5. 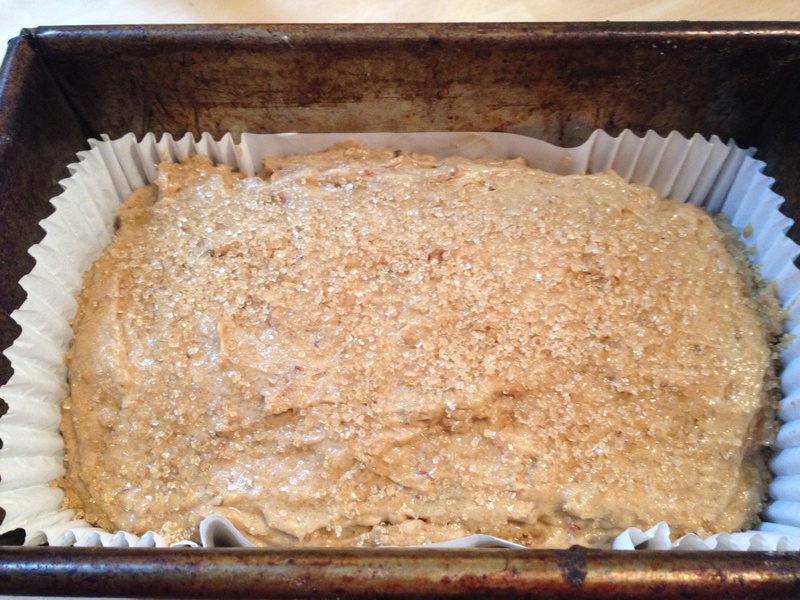 Spoon the mixture into the loaf tin and sprinkle with a litle brown sugar. 6. Bake for 55-60 minutes or until a skewer inserted comes out clean. Set aside to cool. Serve sliced with butter.